In the East London area the industrial revolution of the late XVIII and XIX centuries had its center, and here the space rapidly evolved in order to hold buildings related with industries and construction. 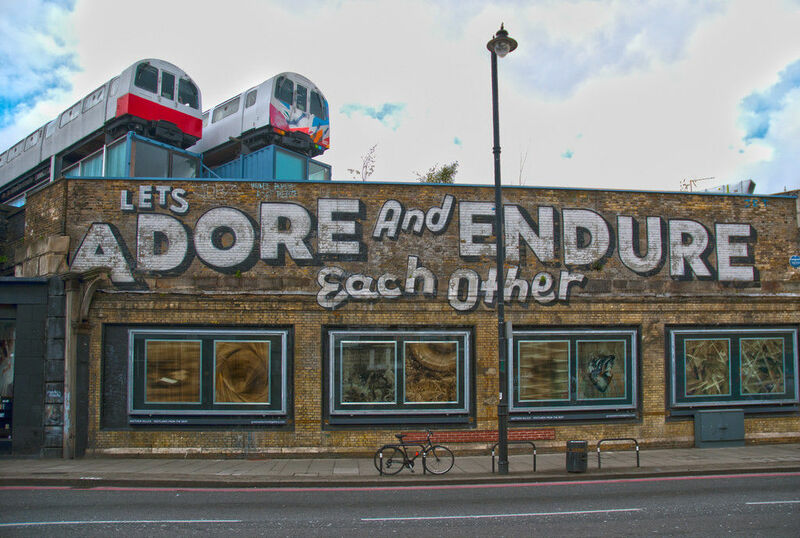 Come with us to discover them in this London industrial city photo tour. All about the LONDON INDUSTRIAL CITY PHOTO TOUR. London had, and still displays in some areas buildings, warehouses and railway viaducts shaped with a typical industrial style and entirely realized with bricks; the East End is one of these. Being not far from the port, the area was historically a traditional destination for a lot of immigrants coming by sea. Their presence and the expansion of the population brought at the consideration of the area as a working-class district, marked with poverty, overpopulation and criminality. Through the centuries things radically changed; in 1980 enormous regeneration projects took place and the area was object of gentrification processes. These gave birth to a busy daytime and an intense nightlife thanks to the many famous pubs, bars, shop and art galleries realized in converted warehouses. Nevertheless, due to its authentic identity, the East End of London continues to hold an appeal for each Londoner and tourist. Therefore, we encourage you to take part in this photo tour and shoot with your camera some industrial architectonic elements among the many still existing in the city. Follow our insider master photographer; he will illustrate you the importance of this area in the evolution and creation of London, both in its physical and in its cultural image. Explore with us the corners of the old city and portray it considering technical aspects, like ISO, light conditions and composition. Step outdoor and appreciate London's authentic taste. Learn with our professional how to take urban pictures and create great compositions capturing bricked walls covered with impressive street artworks. Discover with a master photographer how to obtain impact or dramatic pictures, or how to use lights, aperture and shutter speed in order to obtain more creative effects. 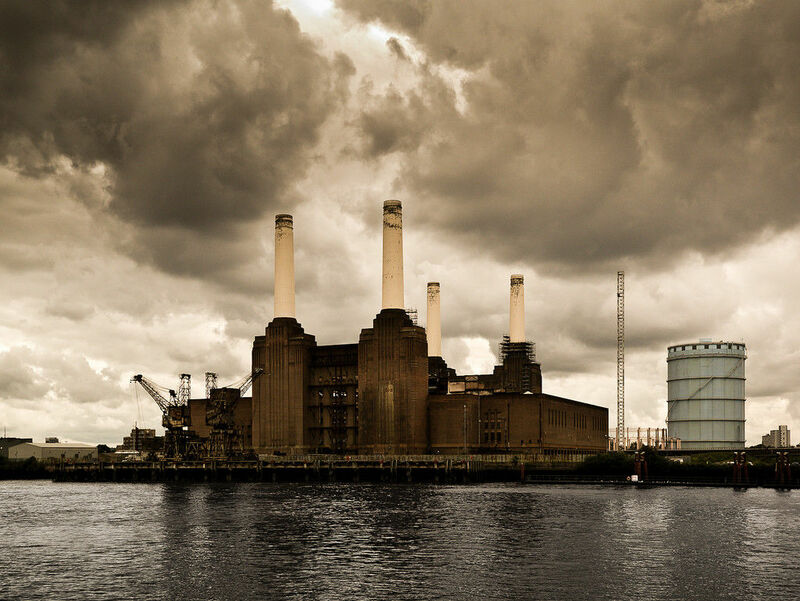 Explore the distinctive architectonic landscapes this photo tour can offer you, appreciating the contrast and blend between traditional industrial architecture and modern London, and understand how to set your camera to obtain the exact picture you are imaging. 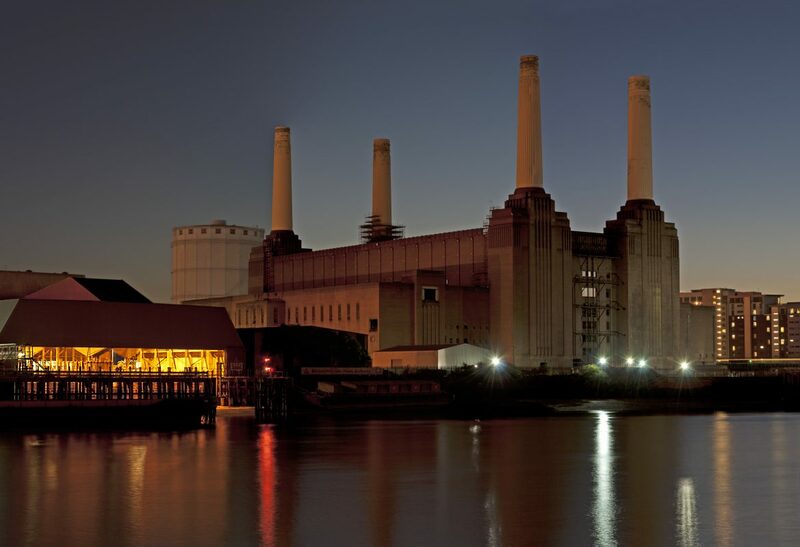 Famous for having appeared on the cover of Pink Floyd's Animal album, the power station was built in 1930 with a highly recognizable design. Being highly evocative, in the last 50 years it has become one of the most famous and portrayed landmarks in London, used also as setting for many films, video or television programs. 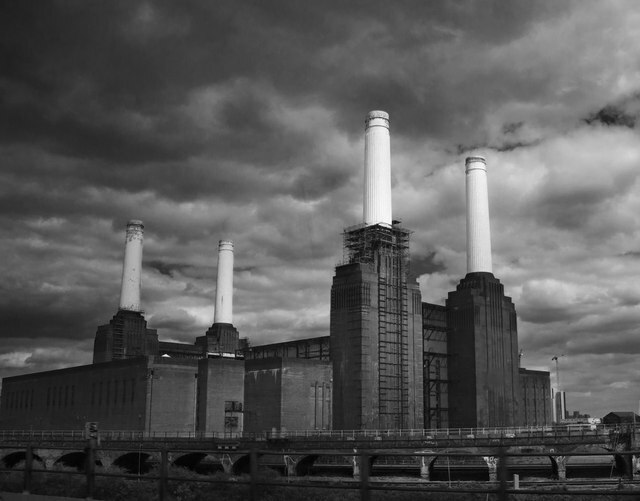 As the Battersea's this former power station was used to generate power up to the 80's. 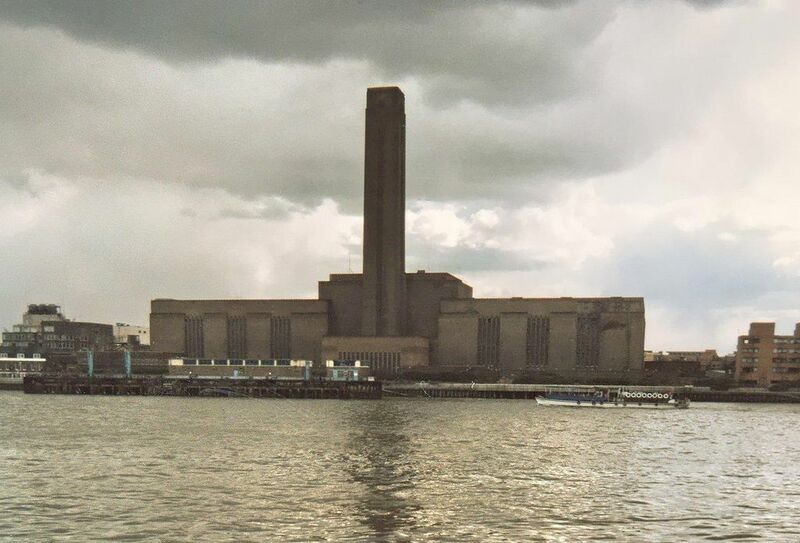 Evocative example of industrial architecture, this building is well known for housing the TATE modern art museum, offering one of the best examples of architectural renovation and gentrification. 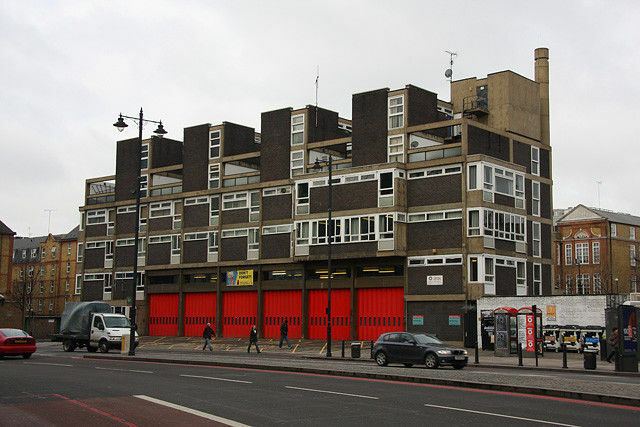 The area was built and managed by the port of London up to 1980. Then a number of projects of redevelopment took place, and now a day the buildings have been renovated for commercial and residential use. They still perfectly represent the idea of an old industrial period, but the contrast with new buildings and architectural design is very evocative, even from a photographic point of view. These two district in the East End are highly characterized by industrial architecture and a formerly predominant working-class environment. Now they have become fashionable and popular areas in London thanks to the many gentrification processes; a lot of industrial buildings have been converted in flats, lofts, offices, clubs and pubs, but their original use is still evident from the outside architecture. Built in 1878 for 2 line service, the station had been renewed in late 90's and formally closed in 2006, leaving evidence of its past use in the abandoned brickworks, tunnels and railways.